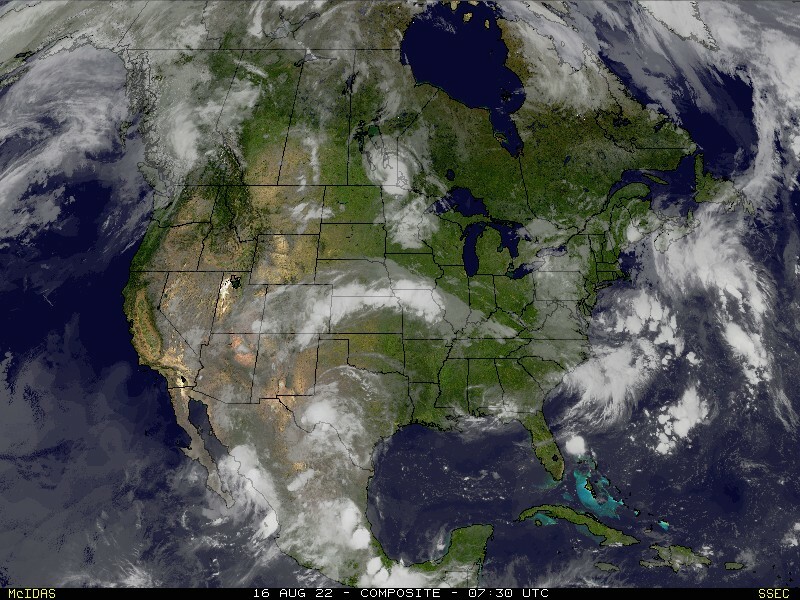 The advertised cold front is still on its way to the southeast. Temperatures this morning were -20° to -38° in western Canada. 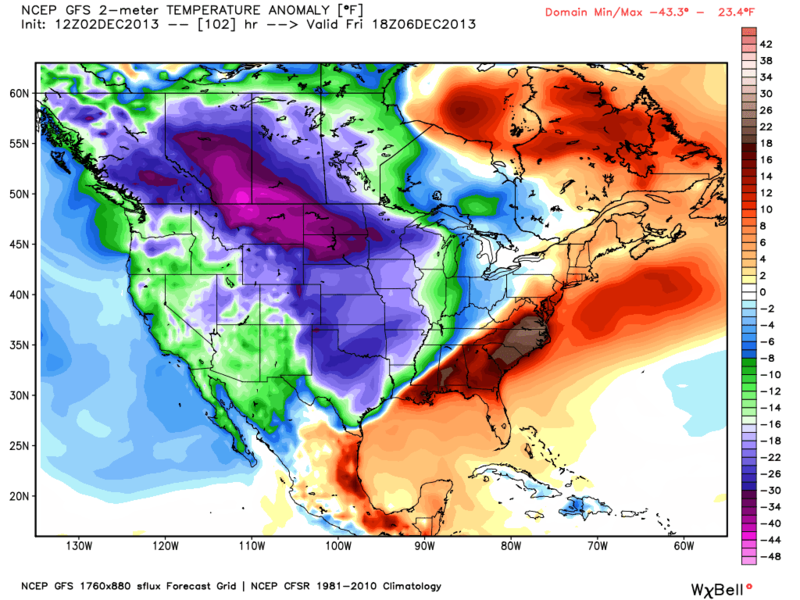 As you can see from this image, temperatures are projected to drop well below normal by Friday afternoon. Looking at morning data it is becoming clear there will be a storm to deal with Thursday and Friday in southeast Missouri, southern Illinois, western Kentucky, northern Arkansas and southern Indiana. The new data from the National Weather Service’s Global Forecast model, the GFS, is hinting at the storm being perhaps a little warmer initially. What does that mean? 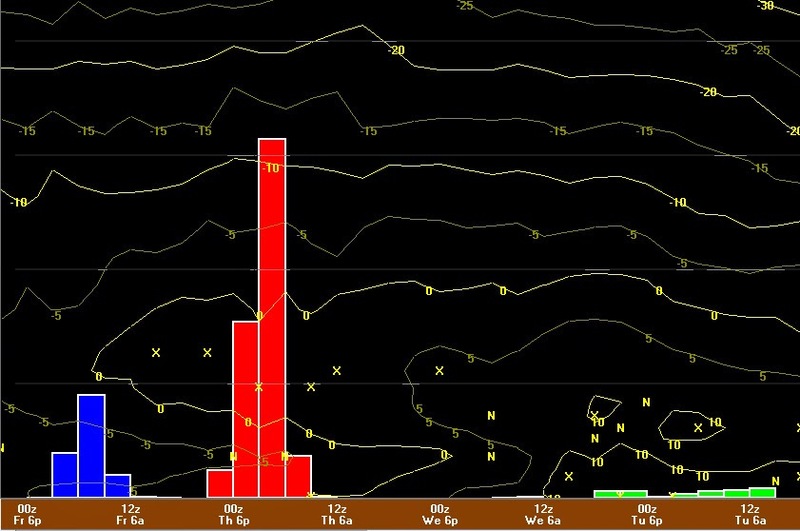 The model suggests that things will start out as rain. And there could be plenty of it initially. As the cold air wedges in, things change over to freezing rain at the surface. Eventually, the freezing rain would change over to a little sleet and then perhaps snow. Here is a look at how much moisture two computer models are suggesting from 12pm Thursday through 6pm Friday. 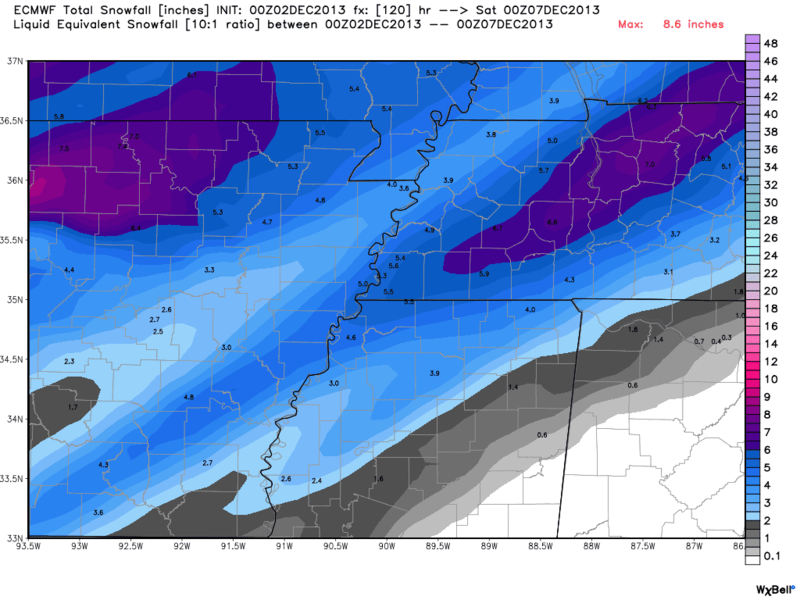 When you see the numbers from the GFS you'll notice some hefty amounts. A lot of that comes down as rain before things change over. Having said that, freezing rain and then a couple inches of snow on top is not a fun situation. Here is a closer look at this morning's GFS in a three dimensional sense. Specifically, we are looking at Cape Girardeau. 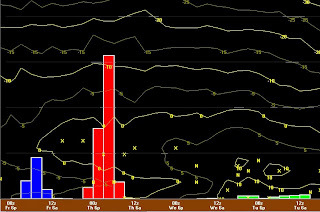 Green vertical bars indicate rain. 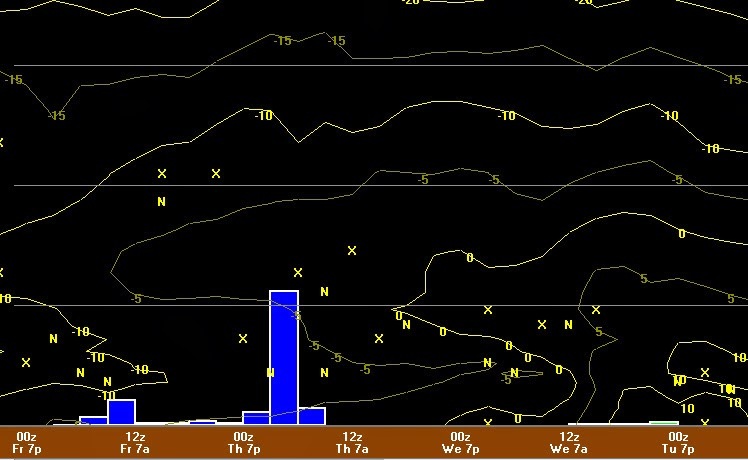 Blue indicates snow. Orange indicates sleet. Red indicates freezing rain. 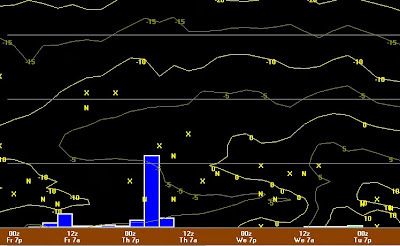 Notice the software and the computer model suggest freezing rain during the day Thursday and then changing over to a little snow Friday. Go a little further north to St. Louis and see what the model is suggesting. Notice it is indicating all snow for St. Louis. In fact, when looking at the 2-computer model average, the data would suggest a 2"-5" snow for the St. Louis area. Here is a look at snow projections from last night's run of the European forecast agency's model. 0z ECMWF Projected snowfall through 6pm Friday. 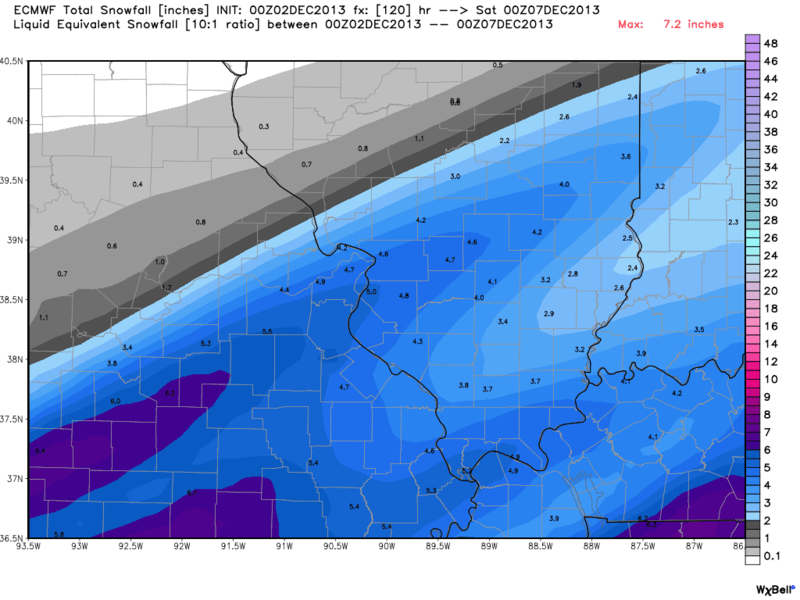 I would say the Euro is a little more gung-ho with snow versus freezing rain. Having said that, it still does suggest a little freezing rain for a line from Poplar Bluff to Cape Girardeau and up the Ohio River. South of that line, the potential for freezing rain is higher. Also... I am still looking at another chance for snow Sunday in to Monday. We'll talk more about that as we get closer. By the way, if you are on Twitter be sure to follow me as I send out many updates throughout the day I typically wouldn't put on the blog. Follow me at @johndissauer. Bottom line... No need to panic yet. Know that there is a good chance of the area seeing something Thursday and Friday. Know that this could be rain changing to freezing rain and/or sleet changing to snow.